I’m working on a project that involves lining up different layers kind of like a flip book. Ultimately, the layers need to be exported independently from Photoshop so they can be rendered on the web. 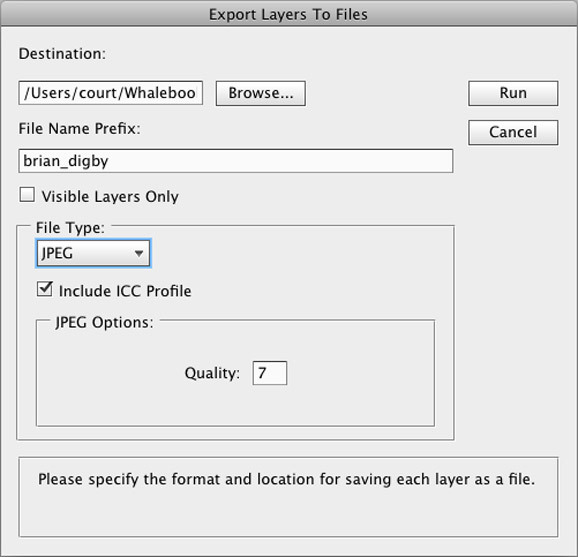 You could imagine how tedious it would be to manually save or export each independent layer… but with this simple tip it becomes easy, you can even automatically generate the base name for each new image that is created! This entry was posted on Friday, October 7th, 2011 at 9:59 pm.